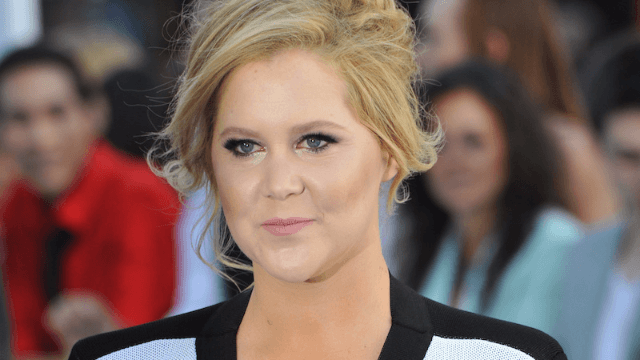 Amy Schumer bought a $2,000 mattress for a store employee who let her use their bathroom. From what I can tell, Amy Schumer is a kind, generous lady. If you don't agree with me, just listen to this story of her emergency-status bathroom break. As People tells it, the Snatched and Trainwreck star was recently in Chicago and out for a jog when she stopped into a mattress store to ask if she could use the bathroom. Sagine Lazarre, the employee working at Six Corners Mattress Firm at the time, happily pointed her in the direction of the bathroom, but apparently had no idea she was talking with the famous comedian and actress. And it could be that Schumer was touched and taken aback by Lazarre's Midwestern friendliness, or that Schumer had been hardened by life in New York, where even if you purchase a meal from a restaurant you're still required to punch in a code written on a receipt you've probably already thrown away in order to enter a bathroom and afford yourself the human decency of a quiet place to pee. But when Schumer emerged from the bathroom, she decided to return the favor to Lazarre in quite the opulent gesture. On her way out, Schumer asked Lazarre which of the company's mattresses was her favorite. And then Schumer bought the $2,000 model for Lazarre on the spot as a thank you. "It’s amazing, mind blowing. I’m still shocked," she said. As it turns out, the timing couldn't have been better: Lazarre and her daughter had just moved into a new apartment. "After she left, I Googled her name. The lady that was right there talking to me is Amy Schumer. It was amazing. Unbelievable." Yes it was, and yes it is! Now please, someone let me do something nice for Amy Schumer because I could use a headboard and a new rug.